Start your day with a special Amakusa breakfast! 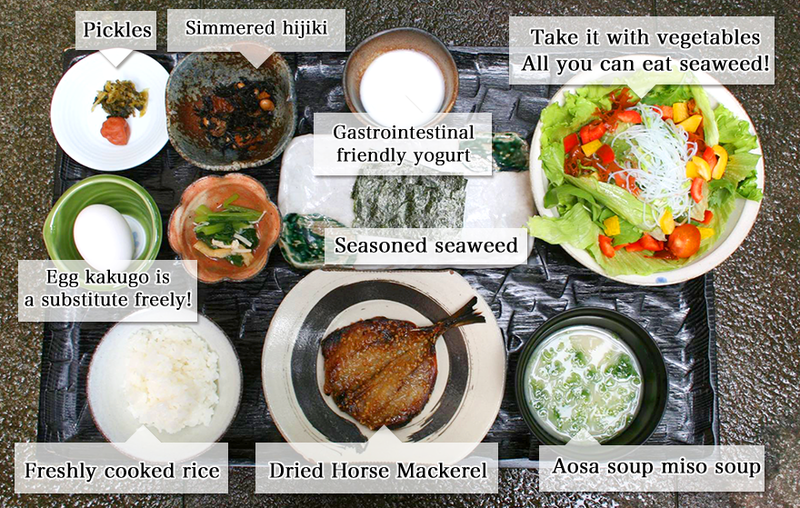 The ingredients used at the Ikaya Ryokan are locals, mountains of Amakusa. Especially fish and shellfish are natural products taken from Amakusa which is the open sea. Please enjoy the happiness of the Amakusa Sea that excites the family's anniversary night. 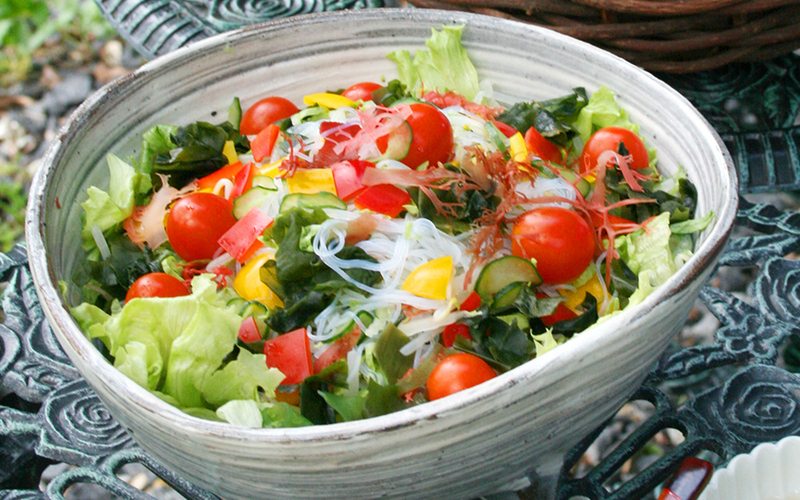 Begin with a vegetable and seaweed salad that will help your digestion. Hot miso soup with seaweed will warm your body and increase your metabolism. Kumamoto Prefecture-grown rice will give you energy for the coming day. right next to the famous Sakitsu church. It will supply your body with the protein it needs. A nutritious breakfast that will make your whole family smile! and then dried naturally outside in the sun. This unusual dish has been prepared specially by a local Christian woman who lives near the proposed World Heritage Site of Sakitsu church. Our mineral-rich salad combines freshly grown vegetables with locally farmed seaweed. We offer you a variety of homemade salad dressings. 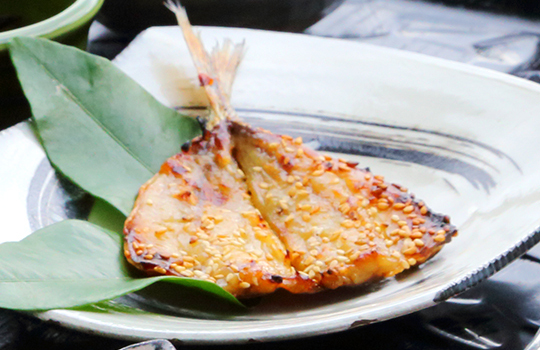 Igaya is a traditional Japanese style inn, and proud of its traditional Japanese cooking. Using bonito stock as a base, our homemade salad dressing brings out the great taste of the vegetables in the salad. 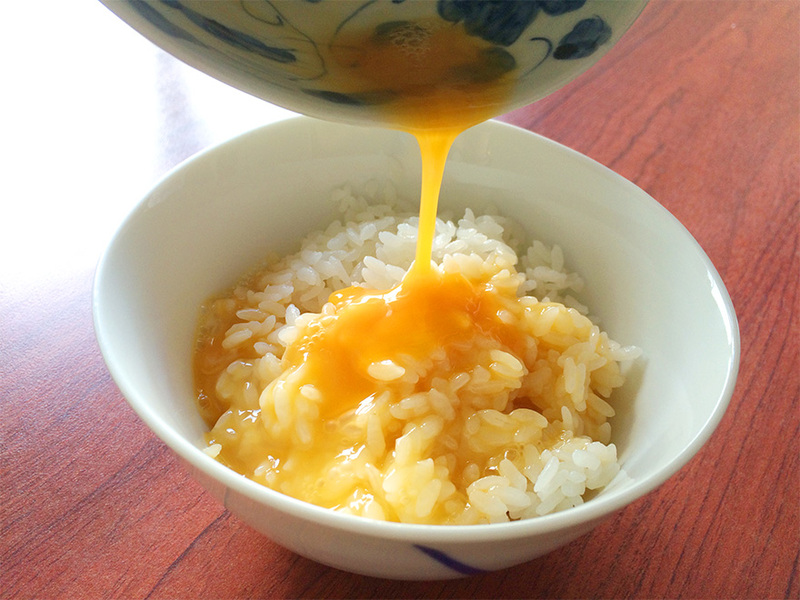 Every day in time for breakfast we prepare freshly cooked rice which has been produced locally in Kumamoto Prefecture. You are welcome to help yourself to second servings! Feel free to add some of our original soy sauce to further flavor this dish. During the Meiji Restoration Period in Japan, what is now Igaya Inn was actually a fish wholesaler specializing in squid. Local people still refer to our inn as the Squid Warehouse. 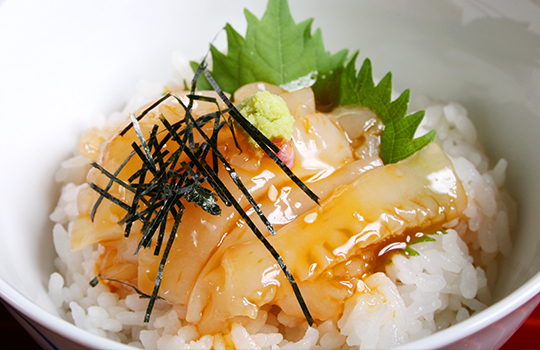 Why don't you explore our history through eating Amakusa locally caught squid on rice for breakfast? Before you eat this dish, make sure you mix the egg, our original soy sauce and the squid with the rice. ※This dish is available on request for an additional 500 yen (excluding tax).